Home › Toys › Dragon Fire (Red / Black) Rpg D&D Dice Set: 7 + 3D6 = 10 Polyhedral Die Plus ..
Dragon Fire (Red / Black) Rpg D&D Dice Set: 7 + 3D6 = 10 Polyhedral Die Plus ..
Dragon Fire (Red / Black) RPG D&D Dice Set: 7 + 3d6 = 10 polyhedral die plus bag! 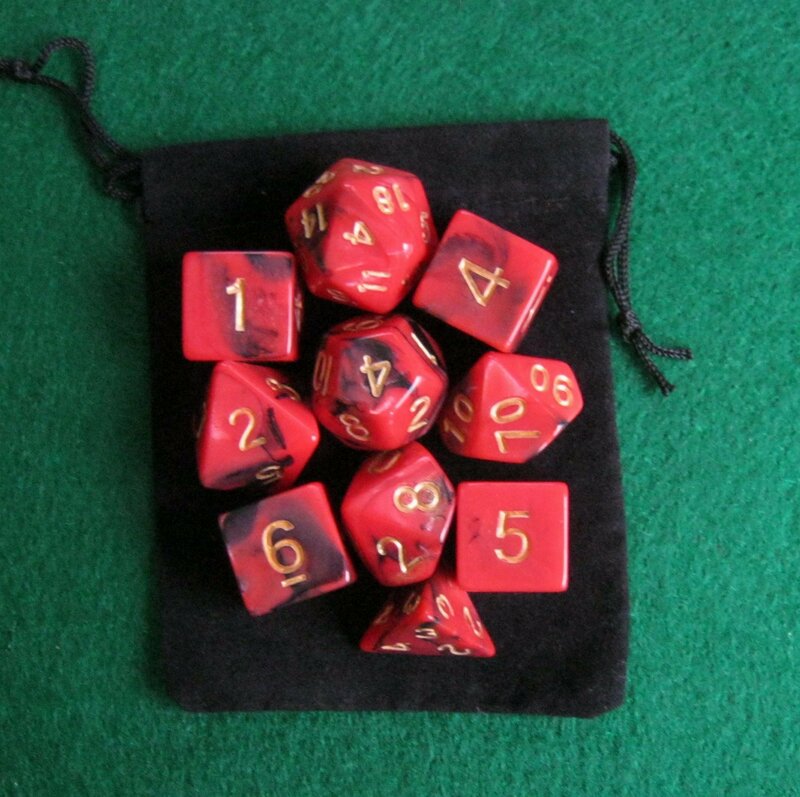 These are ten (10) red and black dice, your standard 7-set with three extrad6s and a bag (you can never have enough! ).